The majority of the attendees have come form Europe. This esteemed group of distillers notices with curiosity and wonder that Barr Hill earned a Gin Master Title, the most prestigious award given at this ceremony. It is very clear to them that these distillers from Vermont are outsiders, a little fish in a great big sea of gin - a little fish, that just made a huge splash. 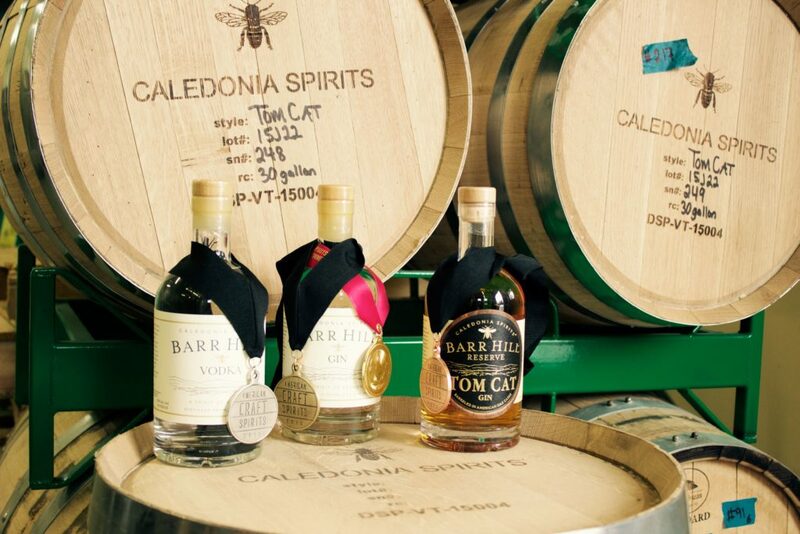 The Barr Hill team represents just a tiny handful of American distilleries receiving awards, with Tom Cat Gin earning the Masters title, and Barr Hill Gin the Gold. This win marks the 3rd gold medal honor for Barr Hill Gin in 2016. Barr Hill Gin also earned gold from the American Craft Spirits Association, and SIP Awards. The Master title for Tom Cat Gin is the highest honor that Tom Cat has ever received. This designation in the homeland of gin thrills the Barr Hill Team. In addition to the Masters title, Tom Cat Gin earned silver at the San Francisco World Spirits Competition and the SIP Awards. In 2016, Barr Hill Vodka earned this team, "American vodka distillery of the year," from the Berlin International Spirits Competition, which awarded Barr Hill Vodka with a Gold. Barr Hill Vodka also earned two slivers, from the American Craft Spirits Association and SIP Awards. Raw honey is the distinguishing characteristic in all of the Barr Hill spirits. Raw honey has a way of imparting a soft floral essence that mingles elegantly with juniper and oak. As for the Barr Hill Vodka, it is distilled entirely from raw honey. The Barr Hill team sources only the finest ingredients and skillfully distills these ingredients using custom built stills, which makes for a winning combination.